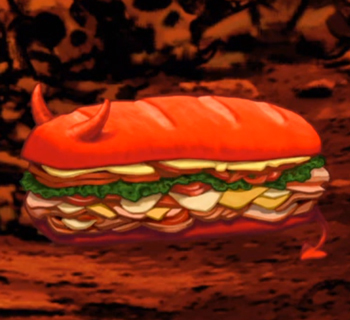 Peter: Aw, yeah, peanut butter cup, Dorito, sausage, car panini. And let’s crack a Cadbury Egg over the whole thing. Just gonna use my spare glove-compartment-underwear as a napkin. I can’t believe Randy Quaid gets to eat like this every day. Prior to making the Peter Griffin Car Panini, I realize that I didn’t actually own a panini press. Much like when I made Homer’s Patented Space-Age Out of This World Moon Waffles, I was off to the local thrift store to find the cheapest possible appliance I could. 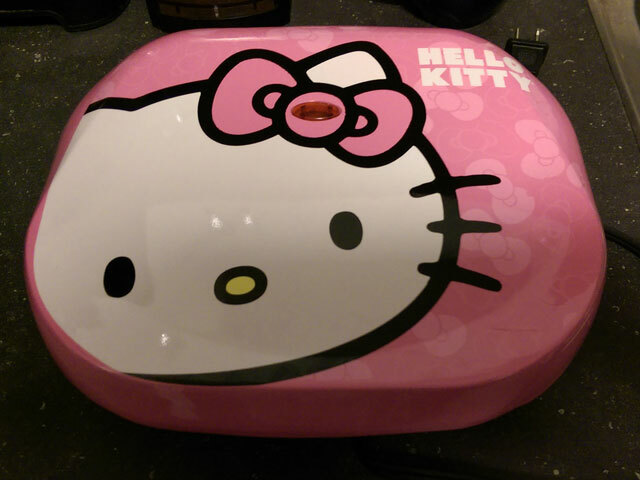 Imagine my extreme delight when I discovered the Hello Kitty panini press for only $5! As far as I could tell, this panini press had never been used – there wasn’t a single scratch on it. I suspect it was maybe purchased as a novelty item? Therefore, I was a little concerned that it wouldn’t actually work. That meant I needed to take it for a test panini, which sadly did not allow me to travel back in time (or travel into a non sequitur aside involving pirates or greased up people). But at least now I knew the Hello Kitty panini press actually worked! 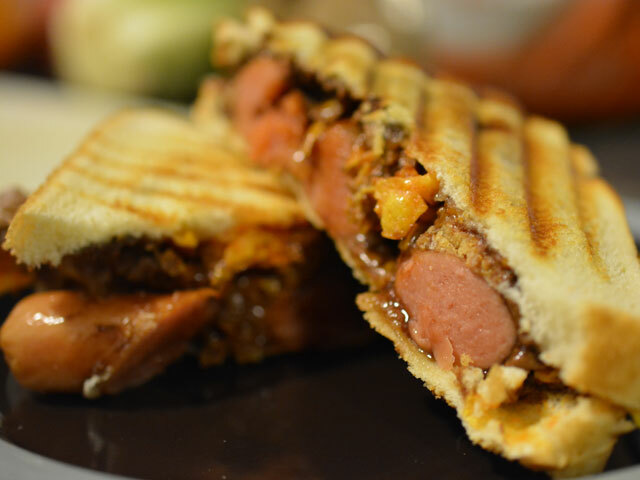 Place down two pieces of white bread and stack hot dogs onto one side. 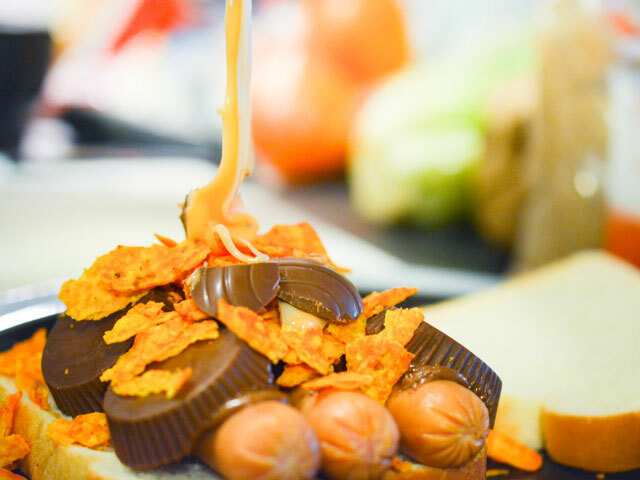 Next, stack peanut butter cups on top of the hot dogs, followed by crumbled Doritos. Finish the panini with a cracked Cadbury egg. Place a second slice of bread on top of everything. 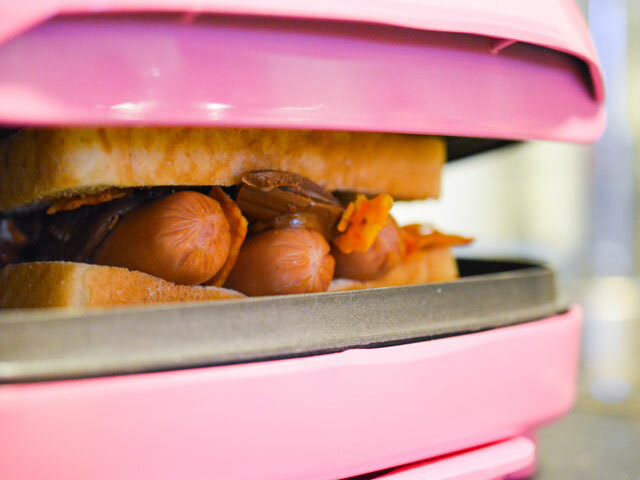 Leave sandwich in the panini press for several minutes until bread is browned and the chocolate is melted. I’m a little concerned about making these as I might not be able to escape the house after eating them. But perhaps that’s just a risk I should be willing to make? Well that’s one heck of a find for your thrift store. 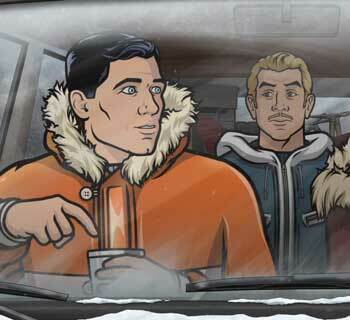 And the sandwich could be worse, I mean it’s no Grilled Charlie. 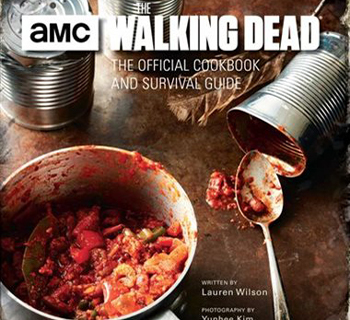 But why would you be concerned about not being able to escape the house after eating those recipes? Though if you were actually able to finish a bowl of Dr. Pepper M&M’s I’d be amazed and concerned for your health. 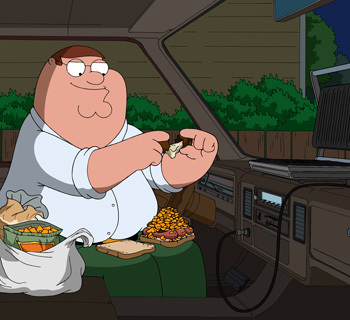 I’m concerned I’d get SO fat I wouldn’t be able to leave the house – the exact same fate as poor Peter. Dr. Pepper and M&Ms mostly sounds gross because I don’t like Dr. Pepper, maybe if I substituted for Coke instead? My goal is to still be able to make it down to the libarry to rent up some movies.